As shareholders converged for its 4th annual general meeting, Stanbic IBTC Holdings Plc, a member of Standard Bank Group, has reiterated its commitment to deliver outstanding value to clients and stakeholders. The meeting held in Lagos on Tuesday March 7, 2017. Approved by shareholders at the event was the 2015 financial statement of accounts. Stanbic IBTC had in a statement to The Nigerian Stock Exchange on December 21, 2016, disclosed that following the resolution of the dispute with the Financial Reporting Council of Nigeria, its 2015 audited financial statements had been signed off by the external auditors, Messrs. KPMG Professional Services and can now be made public. 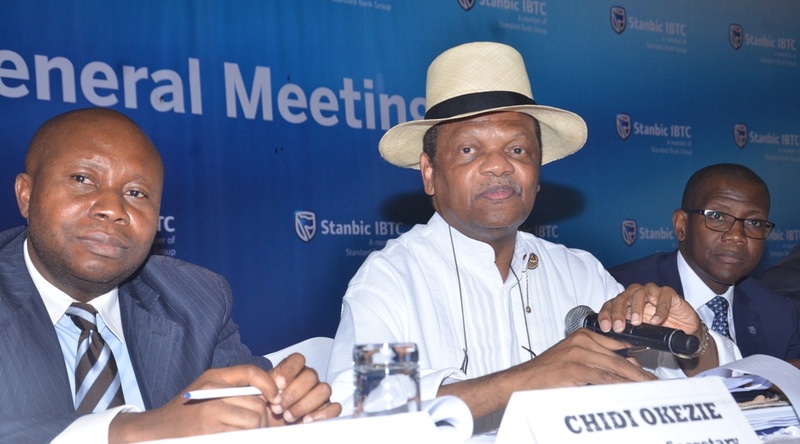 Chief Executive, Stanbic IBTC Holdings PLC, Mr Yinka Sanni, said despite a slowing economy, the institution remains in very sound financial shape, as attested to by Fitch Ratings, which recently reaffirmed the national ratings of both Stanbic IBTC Bank and Stanbic IBTC Holdings PLC. Mr Sanni emphasized that the institution remains on track to maintain its long-term strategic growth and profitability objectives by, prioritising asset quality through diligent and systematic approach to risk management. “Our strategy of building a franchise capable of generating sustainable returns to our shareholders remains in place. “Our continued investment in building a cost-efficient and customer-friendly organization, underpinned by our growing customer base, innovation and customized financial solutions should continue to ensure better earnings and indeed very positive outcomes for all stakeholders. “Our customers and stakeholders are the epicentre of our existence and will remain so,” he stated. During the meeting, shareholders approved a dividend as recommended by the Board of Directors, as well as re-elected retiring directors and appointed additional ones. The group, in the financial year ended December 31, 2015 posted gross earnings of N140.027 billion, up from N130.654 billion from 2014. Profit before tax stood at N23.651 billion during the period, while profit after tax was N18.891 billion. Total assets decreased to N937.6 billion by December 2015, while customer deposits was largely flat at N493.5 billion during the same period. “Our balance sheet remains strong and we believe it will get stronger in the coming years. We will continue to deliver exceptional service and value to our customers, together with profitability and growth in a sustainable manner,” Mr Sanni said. Stanbic IBTC belongs to the Standard Bank Group, the largest African financial institution by assets. It is rooted in Africa with strategic representation in 20 countries on the African continent. Standard Bank is focused on building first-class, on-the-ground financial services institutions in chosen countries in Africa; and connecting selected emerging markets to Africa by applying sector expertise, particularly in natural resources, power and infrastructure.